I started competing in 1974 at the age of 13 in NRA High power, Small bore Rifle & later PPC with my Father who was a police officer. My first match outside a local event was in 1983 at Second Chance Bowling Pin Shoot. 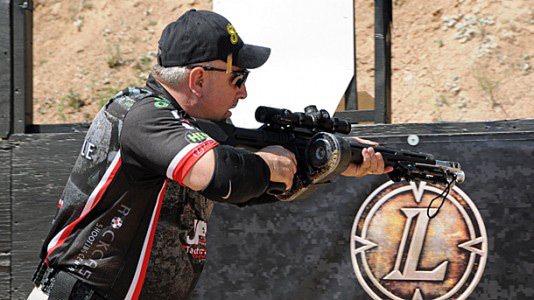 Now years later, I attend many matches throughout the year and around the country shooting a wide variety of disciplines. Shooting or hunting is something I could talk about or do 24/7. I live, breathe, eat and sleep all aspects of shooting & now I'm living my dream. Throughout my shooting career I have proven myself as a top competitor in variety of shooting disciplines, be it pistol, rifle & or shotgun. My ability to excel in these variety of disciplines ensures my sponsors high profile exposure and press coverage for their products. I work full time for Evonik Degussa Industries as a Senior Operator, which is a Chemical Specialty Company. Training does not come often being that I work 60 hours a week & family time. So, most of my practice these days comes a day or two before I leave for a match. This is mostly sighting in & checking my equipment & ammo. Preparation of my equipment is something I always make sure of, it will make for a long match if it's not ready to go to work. 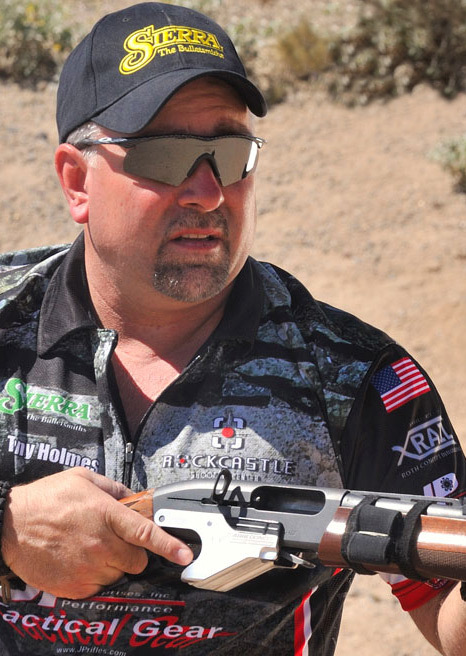 You can learn a lifetime of 3-gun watching top pros like Tony Holmes. Note the position of the ejected case by his face. Tony already has the gun down and is on the move to the next target. This guy is fast!